Alright, it’s Official! Glad to see that democracy will be allowed to have a role in this matter again. As Election Commissioner and a fellow BE citizen, I wish both candidates the best of luck this election. Hey thanks for that Crazy! Btw, as the technical Incumbent, would you be interested in entering the Prime Minister’s Race? If you still want to get involved, then you could consider finding a mate who would be interested in running for PM and you can therefore run as their VPM. You can still get involved but at the same time not be 100% in the spotlight…as VPM. That was well said! You sure you don’t know anything about politics, cause that was some mighty fine statesmanship. The election race for PM/VPM is currently taking place (as you probably already know), would you be interested in taking part and getting more involved in our nation’s current dialogue? 1) Yeah I agree with that. I was pretty certain I was trying to get that point across in my previous post. Actually I do. I know I’m late in the game but if I may, I have an alternative proposal which combines both yours’ (Browe’s) and BGraph’s main ideas plus adding some of my own. Note: 1) Since I’m not the most experienced member, please bare with me if I get anything wrong. 2) Please mind me if I end up repeating something. Hey look guys, regardless of what needs to be changed, in the end any massive overhaul of our constitution needs be voted on in a referendum. Oh ok. I joined BE. It worked…actually I was on the server for like 1.5 hrs. Anyway just wanted to thank you for your help, really means a lot. Btw, what nation are you apart of mate? What’s the premium version of Minecraft? Is it the one you buy; I bought Minecraft 5 years ago for $25 when I started my Mojang account. Who should I talk to regarding this sort of issue please? 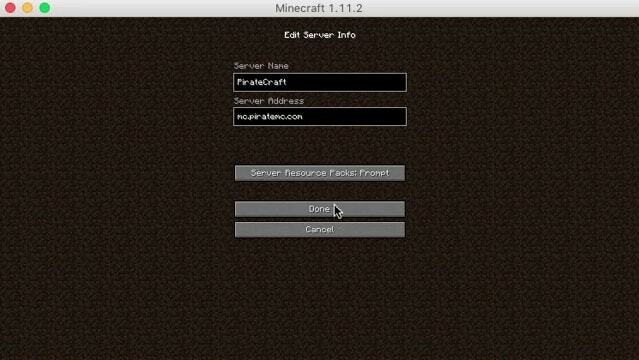 I just joined PirateCraft but for some reason I can’t join the server…and yes I am using Minecraft 1.12.2. Would really appreciate some assistance here please.